The site of many previous clashes between ProviBloc and PanFam, 3D-CQU, capital staging system of the former and primary target of the latter, was once again scattered with wrecks in the wake of another bloody fight between the two. The battle saw ProviBloc and PanFam once again face off over an anchoring Astrahaus, perched on the undock of their staging Fortizar, a familiar sight to both sides given the previous fight just a week earlier over the same objective. 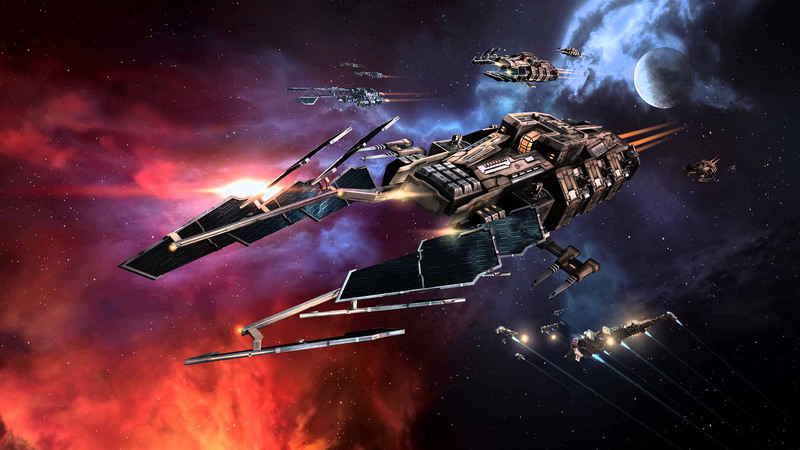 Equally familiar was the heavy third party presence, with Spectre Fleet and Bombers Bar both forming fleets for the timer, although Spectre fleet declined to engage either side and went home without an impact. Pandemic Legion formed up and brought their archetypical Machariel doctrine, bringing 160 pilots to the fight, with 114 Machariels making up the core, supported by a heavy complement of dreadnoughts and force auxiliaries in order to dissuade any capital engagement from ProviBloc. ProviBloc, on the other hand, initially formed up a Cerberus fleet with around 200 pilots, alongside a 40 man torpedo bomber support fleet and a further 20 in an ECM bursting frigate fleet. Despite holding the numbers advantage, it seemed that ProviBloc assessed their chances of winning in a straight up fight as low, and made a move that was completely unexpected by both PanFam and the members of the ProviBloc fleet itself. 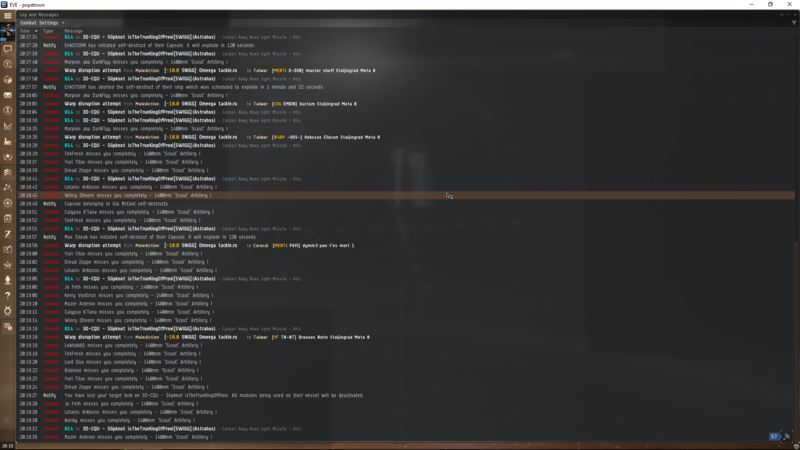 They moved their fleet ahead of PanFam to the target system, docked up in their Fortizar and waited for PanFam to arrive and set up, ceding total grid control. And then, just as both sides expected a complete blueball, the order was given to trade various members of the ProviBloc FC team and receive Talwars, in order to shoot at the citadel in a manner that was both cheap and hard to deal with, ordering pilots to simply orbit the Astrahaus at 100 with their MWDs on, ignoring the standard anchoring and positioning techniques typically used in large scale fleets and sending them to scatter to the winds, attacking the citadel like a swarm of angry bees. PL scrambled to adapt, first of all attempting to use their Sensor Dampeners to reduce the ability of the Talwars to continue a stable orbit, although due to the size of the Astrahaus model this proved ineffective. Shots from PL’s artillery fit Machariels were failing to effectively land, leaving the hundreds of Talwars time to scatter all over the citadel, keeping the timer paused and slowly chipping away at it’s hull. Eventually however, as PL got into the rhythm of it, syncing up target painters from their command ships with their Machariels and completely ungrouping their guns, Talwars began to fall one after another. But the ProviBloc FCs were ready for this, sitting on a massive stockpile of nearly 1000 of the hulls ready to keep handing them out. For every Talwar that fell, another took its place, keeping up the assault on the Citadel, trading ships for the time they needed to finish the job. As the fight went on, things began to get closer and closer, with Provi burning through the initial stockpile of pre-built ships whilst TiDi began to affect the system just due to the sheer amount of wrecks on the field. It became clear that if 1000 Talwars were enough, it was going to be desperately close. During all of this, ProviBloc continued to use their Goku bombers alongside massed Micro Jump Field Generator equipped command destroyers in order to prevent PL from spreading out too much and neutralising the transversal of the Talwars, managing to pick off four Machariels from the main grouping over the course of the fight, and quickly killing them. All the while, ECM bursting frigates continued to harass PL, dying quickly to swarms of assisted drones, but disrupting them in the meantime. With only roughly 100 Talwars left, the Astrahaus finally fell under the weight of the assaulting forces, much to the jubilation of the ProviBloc pilots (as can be heard here), at which point – with the objective secured, ProviBloc ceded the field to PL, leaving them surrounded by a ball of Talwar wrecks. 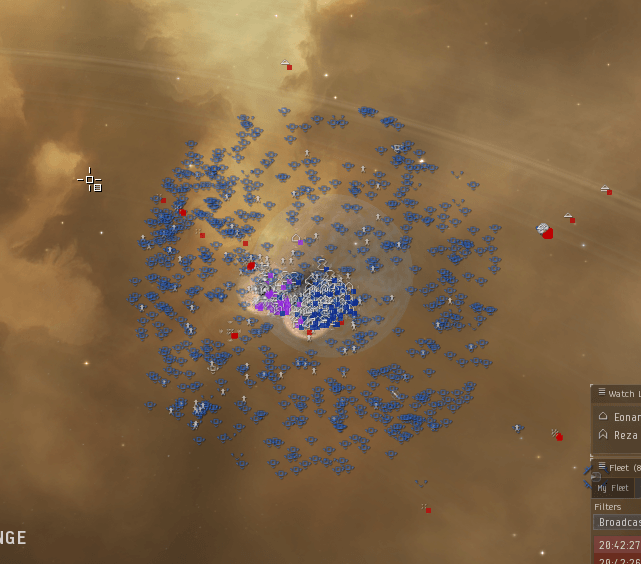 Both sides seemed to leave the fight happy, with PL pilots making statements to Providence FCs such as “Thanks for hooking me up with my kill quota for a month <3”, and Providence pilots feeling as though they’d “managed to surprise PL”. A battle report for the 3D-CQU system can be found here. All told, the battle lasted around an hour, finishing with a celebrator pod crescendo, where ProviBloc warped their pods onto the field to die one last time – Only to meet their end at the hands of a Bomber’s Bar wave of bombs. ProviBloc lost 1235 ships, for a total of 8.5b lost. This fight was so bloody that it actively registered on the markets, with this spike in Talwar sales shortly before bottoming out the market. Did you enjoy this battle report? Please consider supporting the Crossing Zebras Patreon.